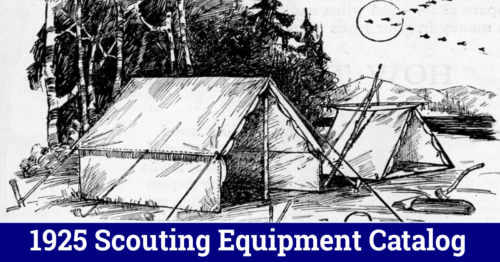 This Scouting Equipment Catalog from 1925 is a fantastic piece of Scouting history. 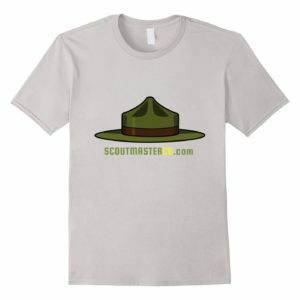 I’ve scanned all 50 pages and created a PDF document that you can download at the end of this post. 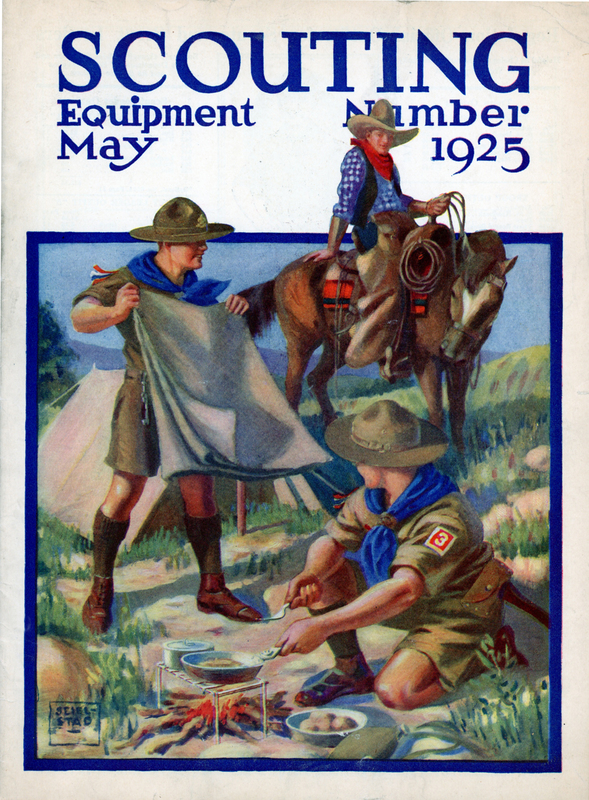 On the cover there’s a full color illustration by Benjamin Goodwin Seielstad of Scouts in their campsite with a cowboy in the background. 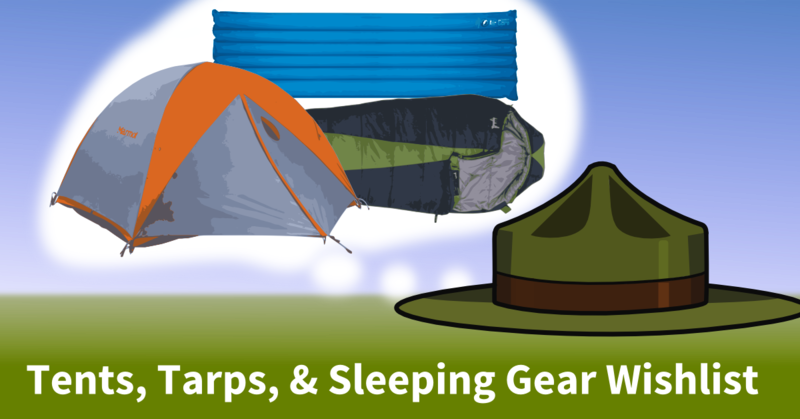 No new-fangled sleeping bags (since there was really no such thing in 1925!) 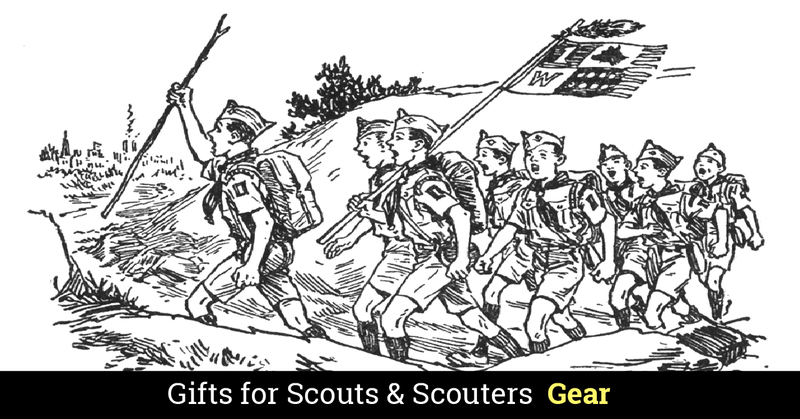 for these fellows, no sir, they have good honest wool blankets ($4.00), the latest offical Boy Scout cook kit ($2.85), and are sporting their new Outdoor Service Outfit ($4.10 – belt and socks included). 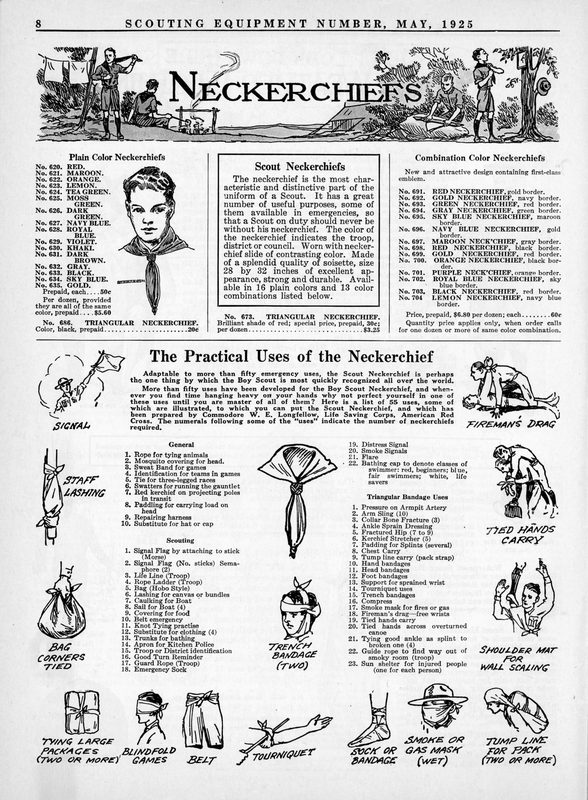 There’s several pages of practical “how-to” information in the Scout Equipment Catalog, like “Practical Uses of the Neckerchief”. 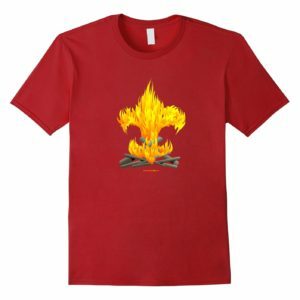 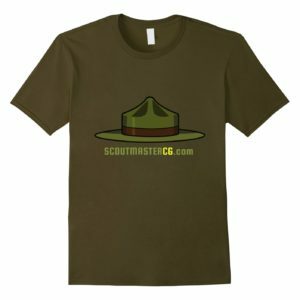 More Scouts have asked questions as to the right way of wearing some part of the uniform or insignia than on any other subject. 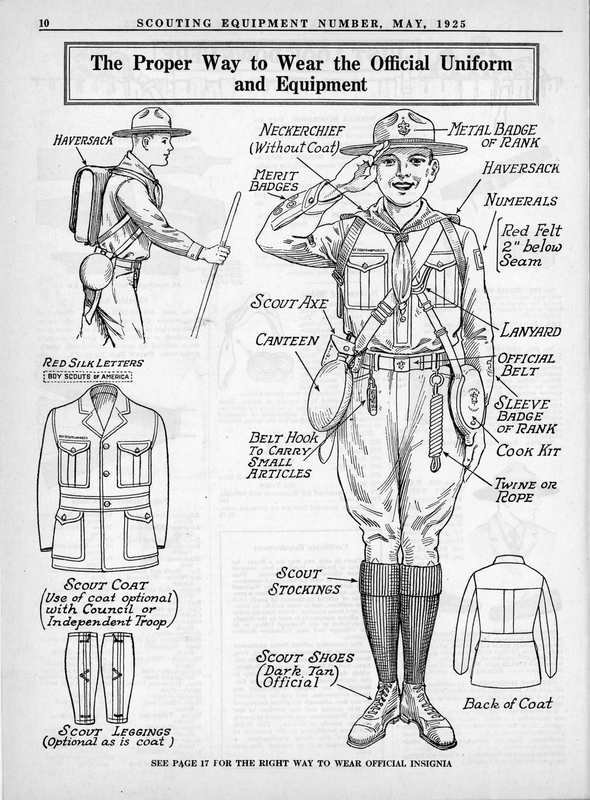 For this reason, I have urged the Supply Department to devote page 10 of this issue of the catalog to illustrations showing the right way to wear the official uniform and each piece of equipment, as well as the official insignia. 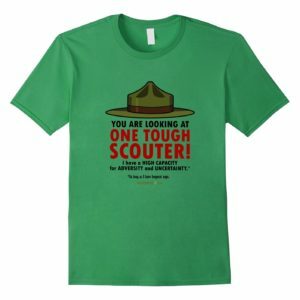 Every Scout and Scout official should study this with care and follow it without exception. 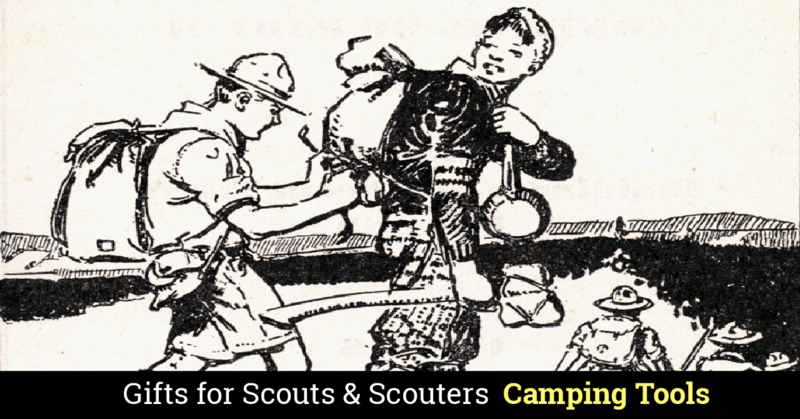 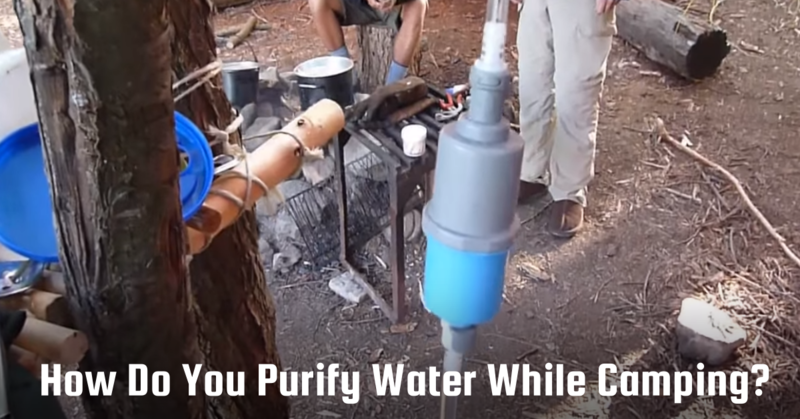 One page encourages Scouts to earn their own money for their Scout equipment. 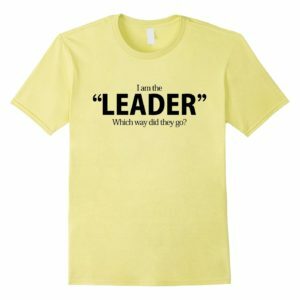 Sound advice that stands the test of time! 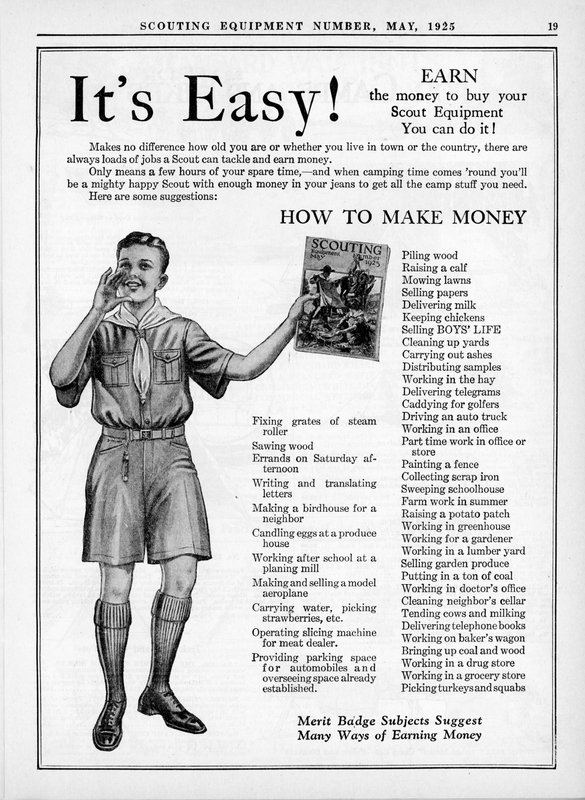 I suppose jobs like “fixing the grates of a steam roller” or “delivering telegrams” are a little dated and not generally available to today’s youth. There’s much much more! 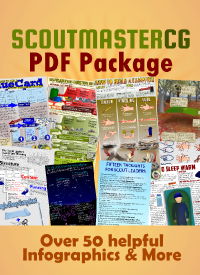 The high resolution scans in the PDF make it a huge 170MB, but it’s worth the wait. 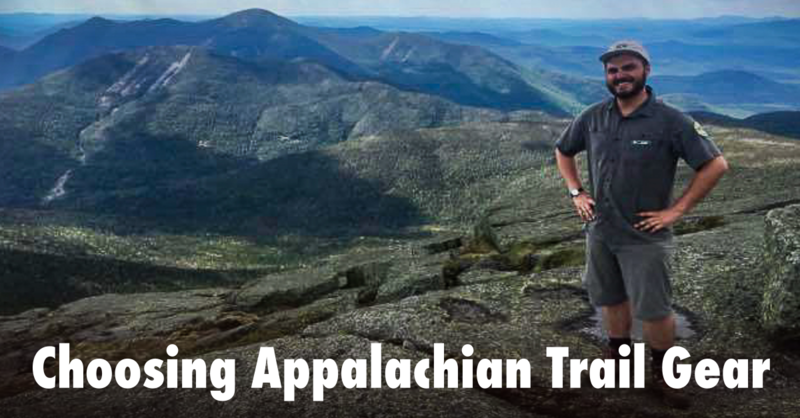 Be sure to download the whole catalog as a PDF document below. 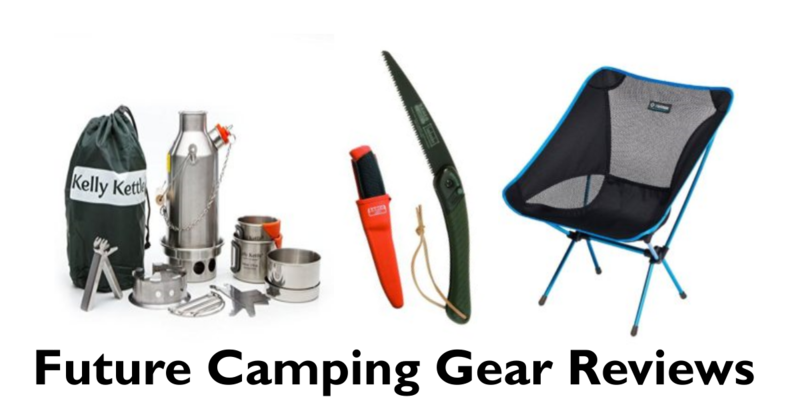 Follow these links to modern-day gear and product reviews and my Gear Guide.